Riding a motorbike off-road offers many rewards – a sense of accomplishment, the beautiful scenery, it’s loads of fun, the adrenaline rush, the excitement of exploration, to name a few. Despite all the fun, off-roading is tough on any vehicle and bike. Off-roaders regularly push their bikes to the limit, putting stress on even beefed-up aftermarket and OEM ATV parts. Even if you stick to casual fire roads, you should get in the habit of performing regular maintenance checks after every off-road trip as exposure to mud, water, dust and dirt causes parts to wear out faster. 1. Skid plates – Large rocks tend to shift into interesting positions when disturbed by the front tire of a five-hundred-pound motorcycle. If your bike kicks up a big rock and it goes straight to the engine, it could cause a big damage. This is why motorcycles are equipped with skid plates. These plates are designed to absorb any contact from rocks and other debris that might have otherwise damaged the engine. BikeBandit.com has a wide selection of motorcycle skid plates and the best genuine motorcycle parts for you to choose from to make sure your motorcycle is always in working order. 2. Stand up – If you started riding off-road, this may seem overly simple, but most street riders are surprised to learn that standing up actually lowers their center of gravity; the body’s weight is directed through the pegs instead of the seat. Pinch the tank with your lower legs and knees and keep your legs bent; they make great shock absorbers. 3. Choose the right tires – The so called “adventure” tires fitted standard on your bike are just some street tires – the best for touring but not so good for off-roading. So fit your bike with proper tires. 4. Manage Your Speed – Nothing increases injury and damage more than a too fast speed for your ability and the conditions. So keep your throttle hand in check. 5. Bent Arms: The bike is going to move up, down, left and right at great frequency. Bent arms allow the bike to move as necessary and for your hands to still control the throttle and brake with precision. 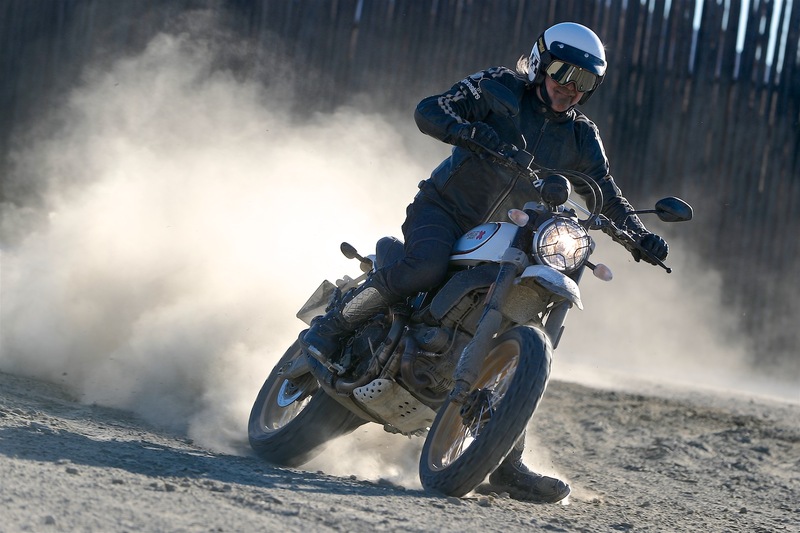 Lastly, gear up with proper motorcycle off-roading apparel and have fun!